Our 100% salvaged lobster rope dog leashes are one of a kind creations made in Maine. Keep your pooch active with this durable dog leash. It's a great lead for walking, running, hiking and more. The perfect nautical look for beach, lake and boat. It is constructed from a single strand of 3/8" rope recycled from the lobster fishing industry. 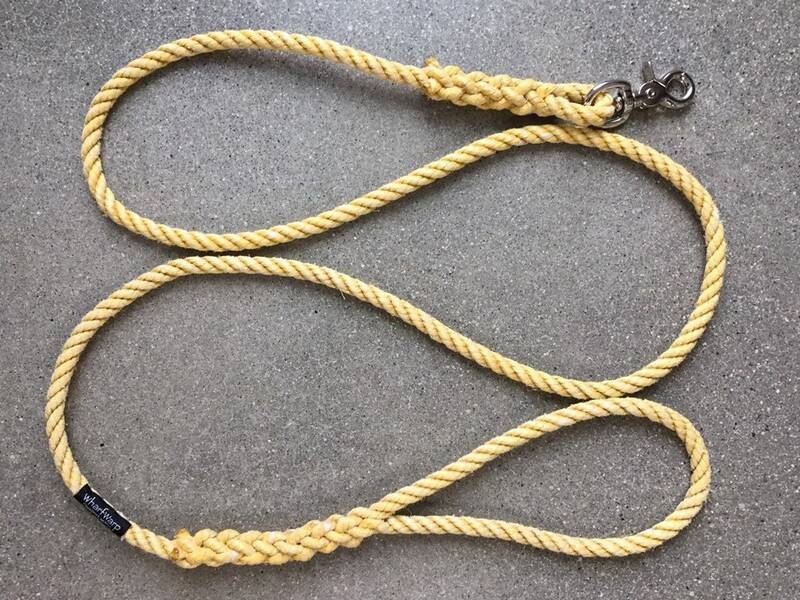 The rugged yellow colored rope has been neatly hand spliced, one end with a handle and the other with a new metal swivel eye trigger snap.